Why San Francisco? It's only one of the best places to get married in the USA. City Hall certainly ranks as one of the best venues in the city. 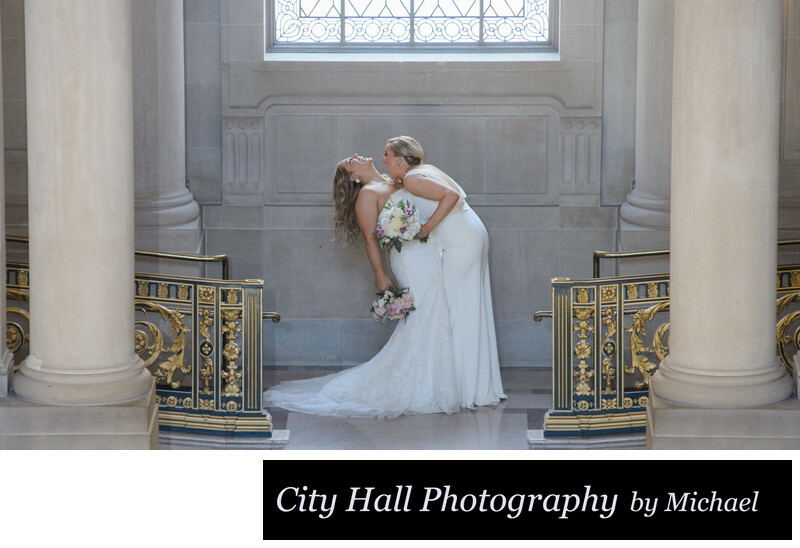 We have been shootings weddings at city hall for over 7 years now and we always enjoy them. The couple above had their nuptials in this great building and then went out on the town to enjoy some of the great food available in San Francisco. But first they had tons of fun having their wedding photos taken by us. This particular pose had them both laughing so hard and it shows in the photo. We tried to get one of them to bend the other one back, but it didn't exactly work and they had a great laugh over it!